The TackleDirect Spro Bucktail Kit includes 10 Spro Bucktails ranging from 1/2oz to 3oz, covering all of your bases whether you are bucktailing the backbays or nearshore wrecks for fluke and pounding the surf for striped bass in the northeast, or casting to blitzing jacks or snook around structure in the southeast. 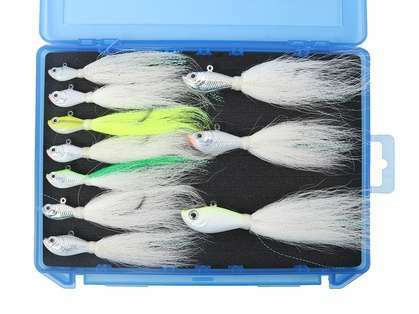 All of the best Spro Bucktails were selected for this kit, with both Prime and Chrome Bucktails in White, Chartreuse, Crazy Chartreuse, Chrome Silver, and Glow. On top of selecting the ten best bucktails taking out most of the guesswork, TackleDirect is including a Gamakatsu Case with a foam insert that will allow you to conveniently organize your bucktails with ease! Great price on some great lures! Good quality products. We've used them a ton this summer with good success and the lures are not rusting or losing color or an eye. This is a great kit with the various weights to ensure I make bottom under various current conditions. This is a killer fluke / flounder catcher when matted Gulp swimming mullett. great assortment of quality jigs perfect for shore and pier fishing. Please the hook in the slot and not as shown in the picture. Works well when you don't know the current and want to change out . 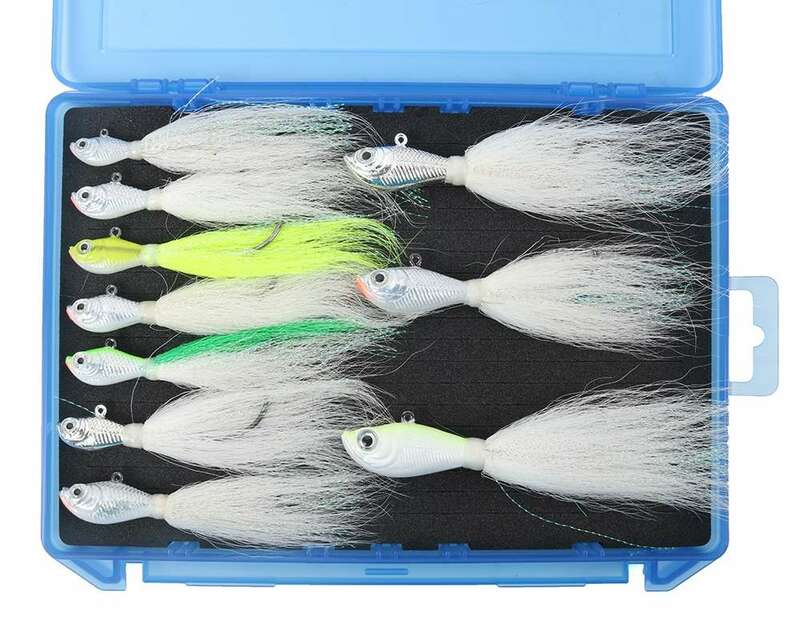 Best quality jigs in my opinion especially for saltwater applications, however, the case is not very useful, once all nice and organized and you close it, they fly all over the place inside, does not stay tight like I thought, but still...amazing! A great price for a wide selection of top of the line bucktails. Plus, you cannot go wrong with the shipping and support from Tackle Direct. Top Notch! The Spro jig set arrives on time and has already been put to use on the west coast. California Halibut and Lingcod so far. They hit the jigs hard - with a teaser of bait. 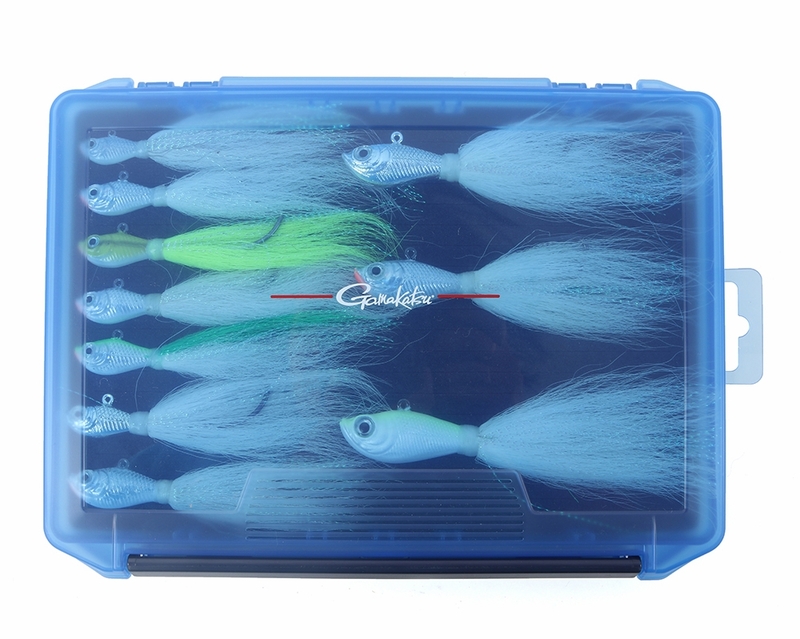 Great jigs - very durable.